Sensations and experiences past are no longer tangible and yet they remain present, preserved by the human mind. 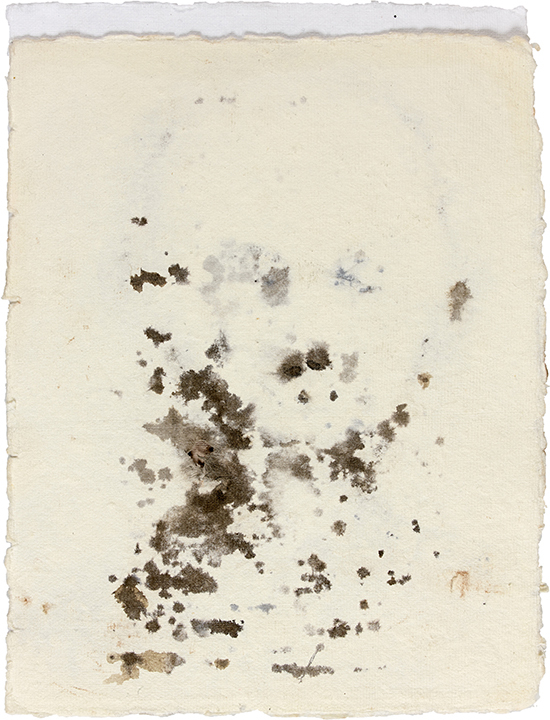 in this series, ‘fragments’ are faint memories manifest on paper. angelini thus renders the untraceable residual. his current work is the fruit of research into the inherent con ict of gesture: the interplay between the gesture as governed by chance, and the imperative of controlling and guiding that gesture with technique. rough angelini’s simultaneously measured and organic practice, gures of a hidden world appear on paper. ese elemental forms become new inhabitants of angelini’s unspeci ed temporality: at once corporeal and ephemeral.